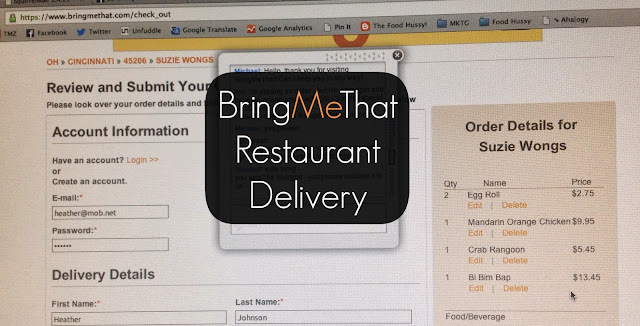 BringMeThat.com Restaurant Delivery | The Food Hussy! A few weeks back, I wrote a Guest Post for BringMeThat.com sharing 5 hidden gems of Cincinnati dining. Things like Quatman's burgers and Dusmesh Indian - you might not know about - but once you do - you'll keep going back! Along the way - I found out about BringMeThat.com and wanted to share their service with you! 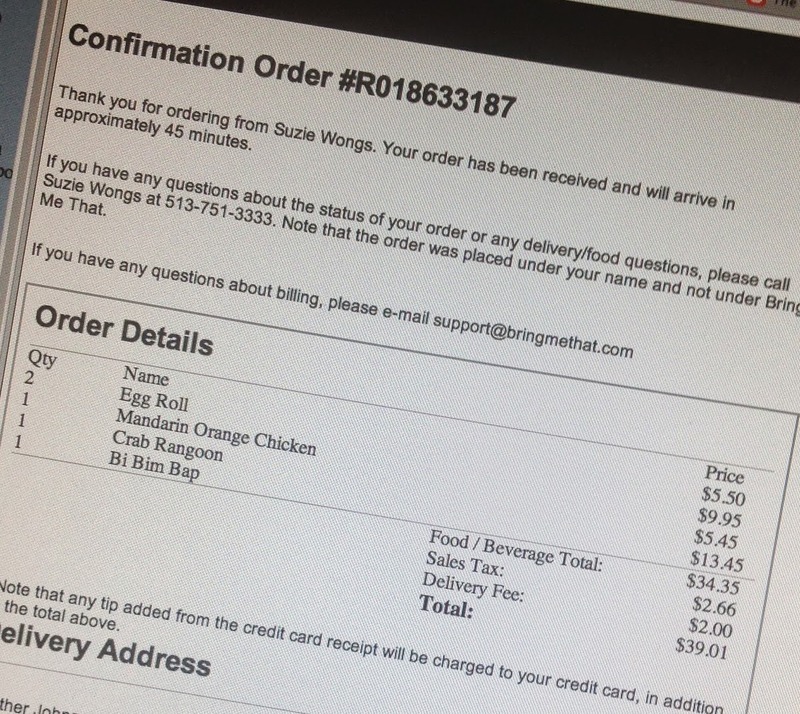 They're a restaurant delivery service that let's gives you OPTIONS when it comes to food being delivered to your home. You don't have to just get pizza any more! 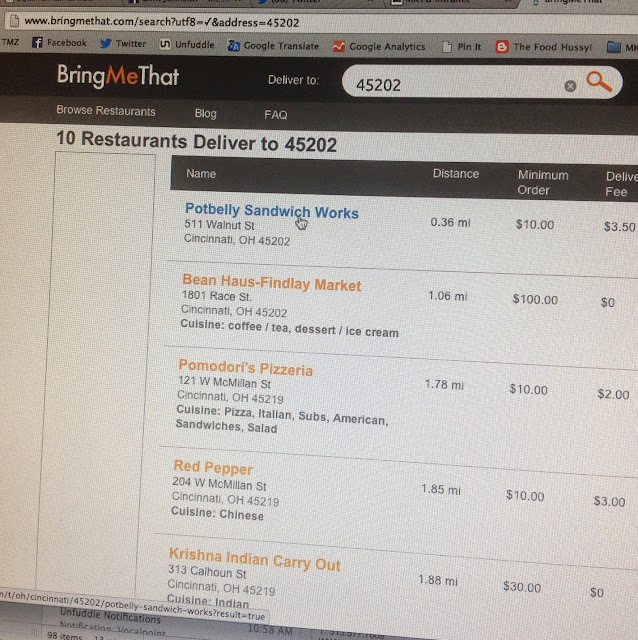 You go on their site and enter your zip code - this will let you know what restaurants deliver to your area. BringMeThat.com is available in 8 states now (Ohio, South Carolina, North Carolina, Vermont, Delaware, New Jersey, Pennsylvania and West Virginia). I was at work this week when I decided to check it out - we had a day full of interviews and no time to go out and get lunch. What would we get???? 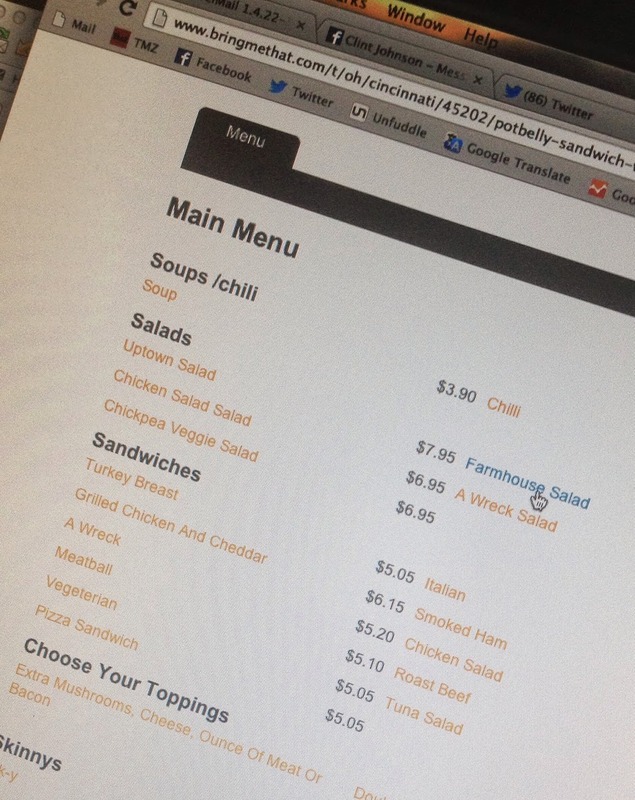 You can help the decision along by checking out the menus and prices of the various places online in your area. Obviously that helps. Then when you order you can be very specific and customize your order. 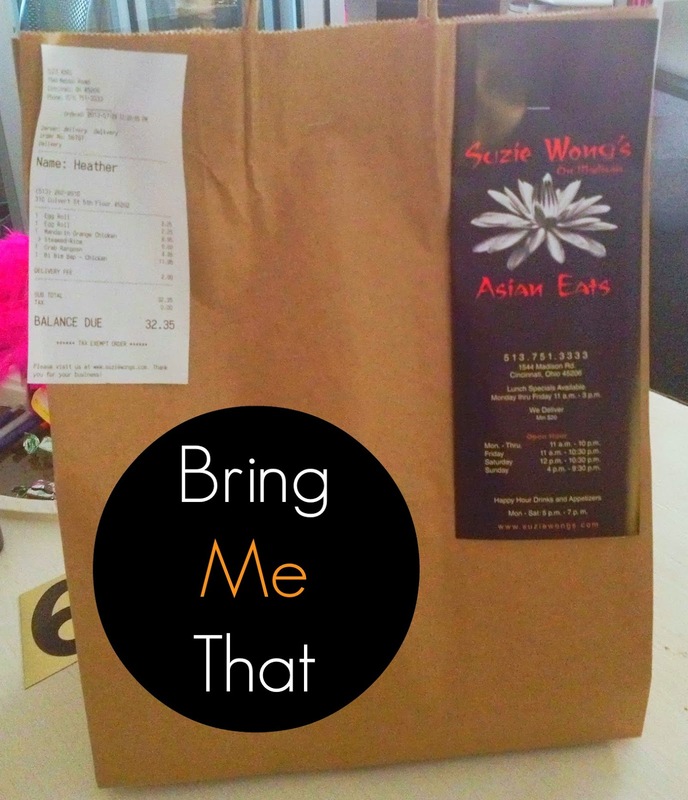 We decided on Suzie Wong's from Walnut Hills - it was so different than what we would normally have for lunch - especially delivery! The prices of individual menu items may differ slightly from the regular restaurant price (in comparing this to the Suzie Wong's menu) but I'm not sure if that's just an old menu online or a price difference for the service. And our sack of goodness arrived in less time than was quoted to us. As you go through the online ordering - it's very easy to use (as you can see from the screen shots above) and the process moves quickly. It's easy to customize or say if you want changes as well. The confirmation comes quickly via email (about 5 minutes) as well. And here was my Bi Bim Bap! The food was hot and fresh - so that was all as it should be. I did wonder how they would package this one up since BBB is a pretty complex dish with multiple layers. I will say - not to really focus on the food here since I have reviewed Suzie Wong's before - I expected it to come with beef since I think that's the norm. On their restaurant site menu - you can choose your protein but I didn't appear to be offered that choice here. I would say - for things like that - be specific in your order if there's any question of what you want or what you might get. 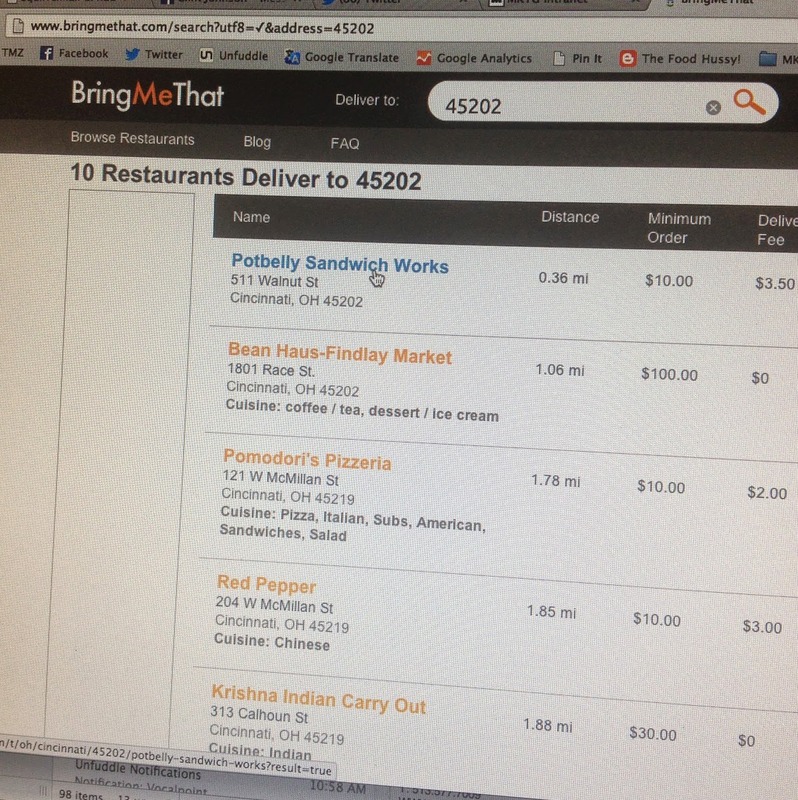 Also - the delivery service is not a BringMeThat.com employee - it was delivered by a Suzie Wong's employee. That said - it's so much easier to go to one site rather than hunt and peck and wonder who delivers in my area. You might even find out about a new restaurant you didn't even know was in your neck of the woods (I might have to try Skally's really soon!). 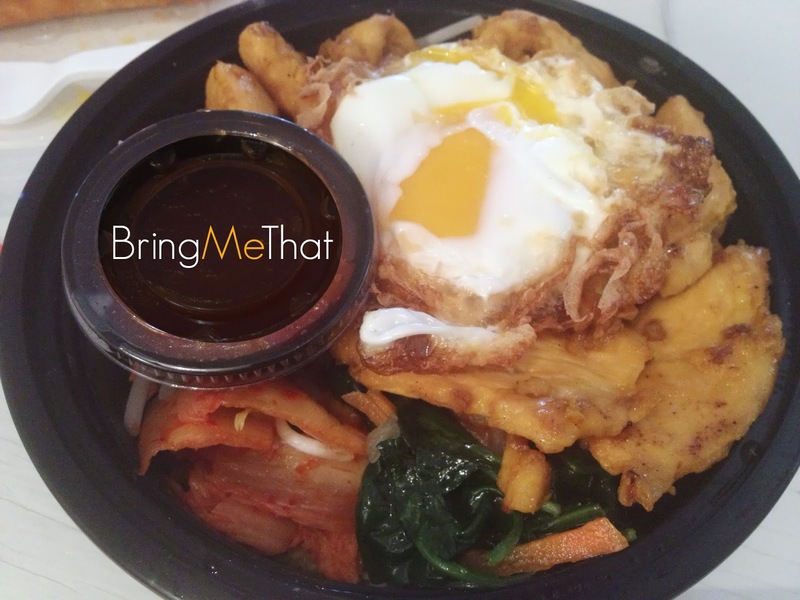 So next time you're too tired to cook and want something delivered - rather than call that old standby pizza place - check out BringMeThat.com and see what unique offerings might be in your area! Why Should You Go? Well you don't have to GO anywhere. That said - the choices in the downtown area were good, the ordering process was quick and easy and my food showed up on time. Nothing else to ask for I guess. * BringMeThat.com provided me the lunch free of charge in exchange for this post.